The eye catching bottle was designed by Mexican artist Victor Fernandez Limon. 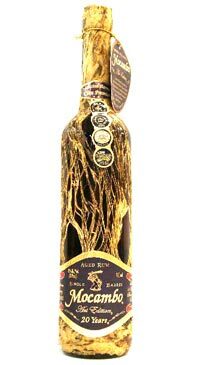 The bottles are wrapped in the wispy material from the Amate tree and topped with a solid cork cap. Adding to the Rum’s exclusivity, each bottle is numbered and barrel noted. The colour is deep brown from prolonged oak ageing. Aromas of dried fruit, like raisin an fig, anise, cut hardwood and rancio character. Medium bodied with flavours of leather, tobacco, smoke and anise. Finishes clean and dry.